“soratama” is a photographing system designed by Zenji Uehara in 2009. 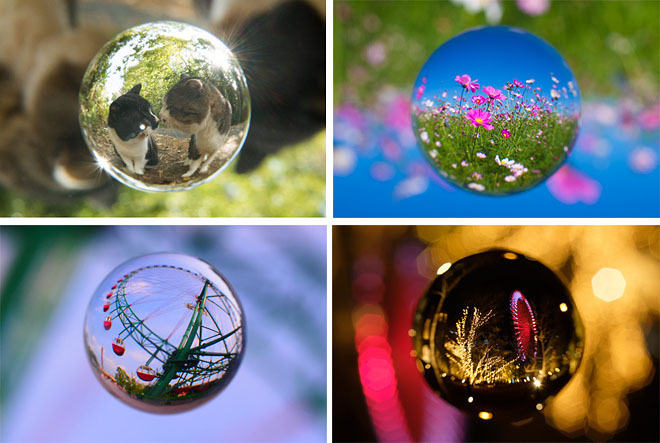 The clear ball fixed in front of the lens makes it possible to photograph sceneries in a ball, floating in the air. You can either make your own soratama or buy one in stores. Starting with “soratama 72” for cameras, soratama is now available with smartphone, iPhone, and for underwater. Which Cameras are Compatible with? Soratama can be used only under the conditions below. -There is a screw on the lens to fix a filter on. Screw the soratama on to the lens to photograph. 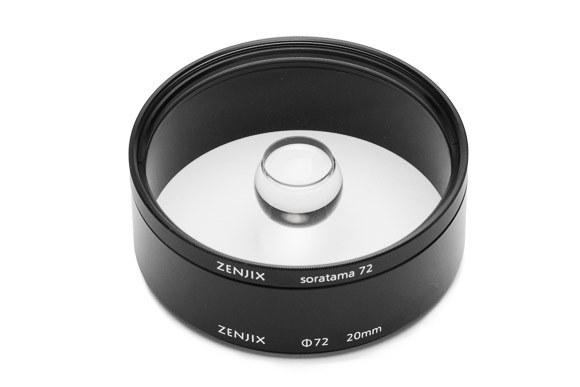 The diameter of “soratama 72” is 72mm. Use the step-up ring or step-down ring to make it fit to your camera lens. Because the focus will be on the clear ball near the lens, close-up photography is necessary. To make this happen, you need to place a macro extension tube between camera body and the lens. If the focal distance gets to long (telephoto lens) the lens tube will also get too long in order to adjust the size of the clear ball. Also, the range of background image would get narrowed. There are setting examples for various cameras. Please contact via contact form should you have any question. 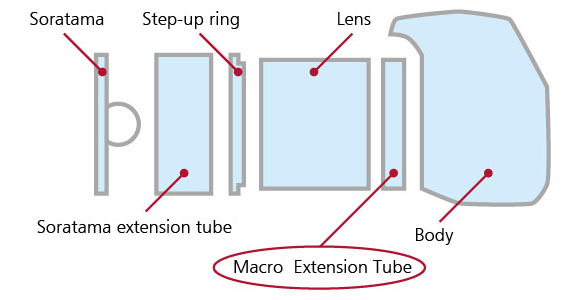 →　What is a Macro Extension Tube? There is “Soratama Photo“group in Facebook. Please post pictures taken with Soratama here and discuss them.